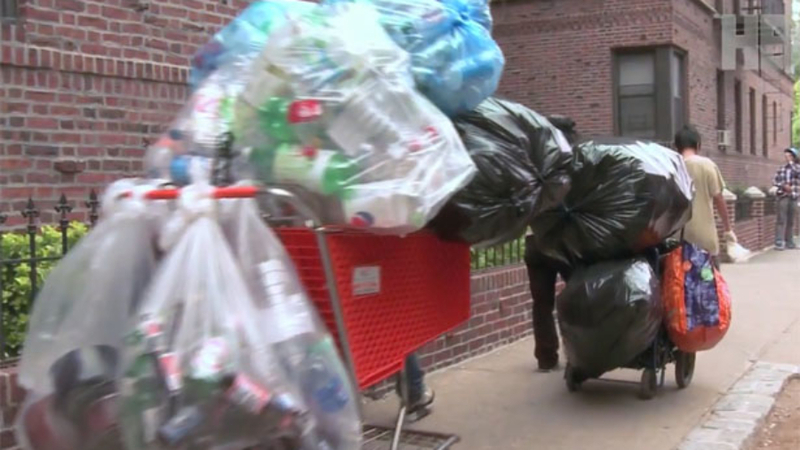 Why Garbage Pickers Are More Beneficial To The Earth Than You. Whether you live in an urban or suburban area, we’ve all seen them rummaging. What are they looking for? Well, recyclables if course! Whether their true passion in life is to rid the world of unnecessarily thrown out recyclable cans or they’re simply strapped for cash, these people are contributing to society more than meets the eye. Each can they pick up removes about 14 grams of aluminum from being burned and each bottle saves 52 grams of plastic from being burned. That may not sound like a whole lot, but you’ll never see one of these people carrying around a single bottle ready to deposit it. You’ll see them haul around hundreds of cans and bottles at a time. So how many cans are they removing from the millions? Let’s do some hypotheticals! It’s been said that you can make $5 and hour on average. That’s around 75 bottles, depending on if you get .05 or .10 on a can or bottle. Let’s say you do this for an 8 hour work day. That’s about 600 bottles a day. How many are there in NYC? let’s assume a whole lot. If you really pay attention, you’ll see them around. I write this on my train ride into the city and I just saw one as I looked out the window. I suppose I’m a bit more keen to seeing them as I write about them. Let’s say the number is 400, but I’m sure there’s more through the entire city. That’s 87,600,000 cans a year taken out of the garbage! Or, by New York’s standards, 3 whole days of throwing out bottles. Damn NYC. I’m trying to make it sound significant! Quit throwing them out! So unless these people are harming you or your property in any way, let them be. If they have chosen your garbage can, they’re doing more good for this earth than you are. Why are people such ungrateful twits in this godforsaken country? You don’t need a new computer. Why do people buy magazine subscriptions? Why are some companies so unprofessional?